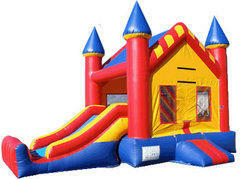 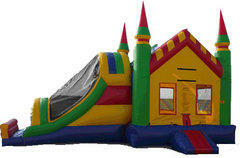 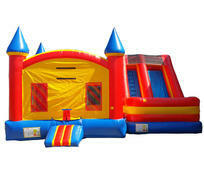 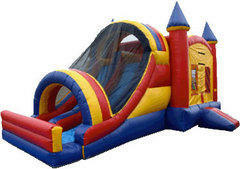 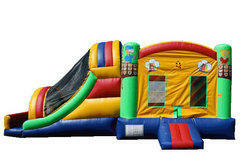 You'll get the best value and maximum fun with a combo bouncer rental from FunTimesPartyRental.com! 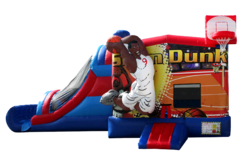 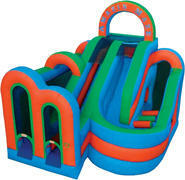 These awesome bounce units feature additional elements like climb & slides, popup obstacles, and basketball hoops. 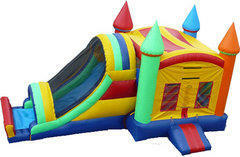 With a "Combination" like that, the fun will go on for hours. 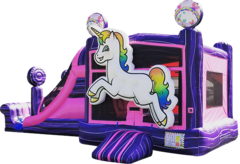 Browse the selections below and click on the image or "More Info" link for additional information and to make a reservation. 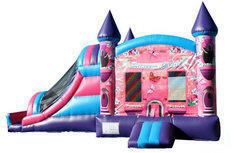 REGULAR PRICE: Any 4- HOUR period before 8 PM; DO NOT include delivery times when booking. 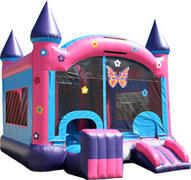 ONLY select your party START time and END time; we will schedule your delivery times. 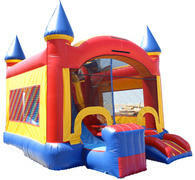 If you need more time, you can add more time and the system will automatically calculate the price for you.